It is my immense pleasure today to welcome Sarah Bean Thompson, the Green Bean Teen Queen herself!! 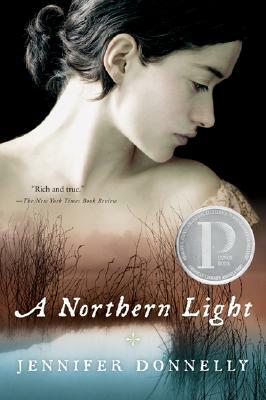 Sarah is an extraordinary teen librarian with a great love and knowledge of teen literature. She is an advocate not only for her teens but for teen services throughout her library, creating seasonal lists of hot and new teen books that her reference staff should know about. And on top of all of this, she's blogged at GreenBean TeenQueen since 2008. Sarah is running for the 2013 Printz committee and I would love it if you'd vote for her! Why? : Well one because it’s hilarious! And sadly, funny books rarely get awards. But Georgia’s random adventures aren’t just about the humor, there's also heart. Georgia grows up throughout the book, but it’s never overdone. Louise Rennison slyly sneaks in Georgia’s growth so we don’t know that she’s doing it all while making us laugh so hard we snort. Love it! Why? 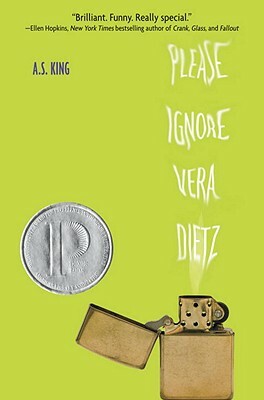 : This book was an addicting read. I was amazed at the way A.S. King was able to weave between the past and present and creating a tension between our characters, even though one is no longer living. There’s mystery, but it doesn’t feel like your typical mystery. 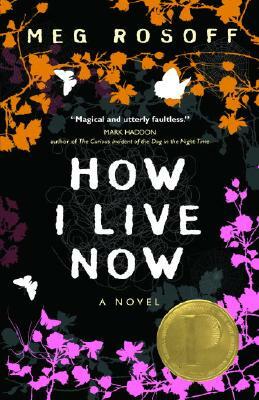 Throw in the perspectives of Charlie, Vera’s dad, and the town pagoda - this book kept me intrigued. Again, there’s character growth that is fantastically subtle and not in your face and the relationship between Vera and her dad is one of the best parent/child relationships I’ve read in YA. Why? 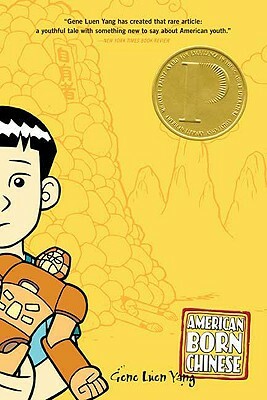 : OK, I might be a bit biased, but this one was awarded the Printz award when I first started working in libraries, so I have a special connection to it. But I love it for many reasons. First, it’s a very smart graphic novel and a book I would give to naysayers of graphic novels who say they’re all easy kids books. I also loved that while there are three storylines that at first appear to be individual stories, they tie together seamlessly. Brilliant storytelling and artwork! Why? : WOW - this book blew me away! It was so much more than what I expected. I knew it was going to be good, but I didn’t expect to be as sucked in as I was. Yes, this is a story of growing up, romance, and family, but it’s so much more. It’s a story of survival, and being forced to grow up even when you don’t want to or aren’t really ready. And it’s a story of moving on after tragedy. I could read this one again and again and it would continually amaze me. Why? : Abby once told me she had a Mattie Gokey scale for historical characters and I have to agree. Mattie Gokey is a fantastic character and her journey is one you can’t soon forget. She’s faced with various options in life and is at a crossroads. Even though it’s a historical novel, the decisions Mattie has to face about growing up are something that teens of any time period can relate to. There’s also a bit of mystery that goes along with Mattie’s story. The author takes a real life story and creates a fictional story around it and brings the entire thing to life. I’ve recommended this book to so many people and it’s one of my favorite YA reads as well as Printz reads! YALSA members, remember that voting's now open for the 2013 Printz Committee. Sarah Bean Thompson has my vote and I hope she'll have yours, too! !